In addition to the possibility of changing the substance's chemical composition over a wide range, it is also possible to stabilize in the crystal structure of such substances some elements in the less common oxidation states, primarily, the manganese and chromium atoms in the oxidation state +5. As a rule, these elements under the conditions of various processes are subjected to disproportionation – a simultaneous increase and decrease of the oxidation state to more stable states: +6 and +4 for manganese and +6 and +3 for chromium. 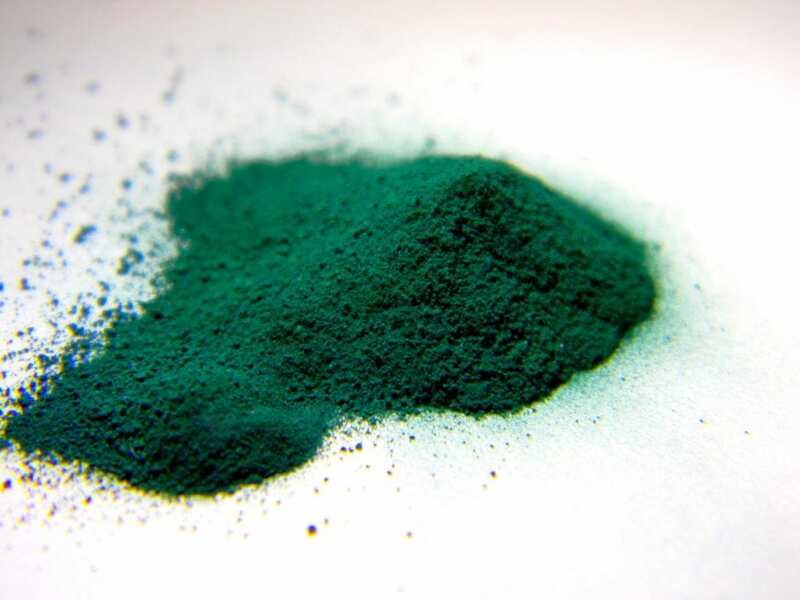 The studies of inorganic pigments with the apatite structure have been carried out at the Faculty of Chemistry of the Lobachevsky University by the team headed by Prof. A.V. Knyazev and Dr. E.N. Bulanov since 2010. The team's latest achievements include obtaining a high-purity sample of the composition Ba5(MnO4)3Cl and its physico-chemical characterization. According to Evgeny Bulanov, within the framework of this research, the features of the crystal structure and chemical environment were established, allowing the degree of manganese oxidation to be stabilized. "In addition, the isobaric heat capacity of the substance was measured for the first time. During the experiment, the anomalous behavior of the compound was also found below the temperature of 15K, which can be explained by spin ordering," notes Evgeny Bulanov. More details can be found in the article: Knyazev A.V., Bulanov E.N., Smirnova N.N., Korshak K.S., Xu Z., Sarmini Yu.A. Synthesis, structure and thermodynamic properties of Ba5(MnO4)3Cl apatite // Journal of Chemical Thermodynamics. 2019. V. 129. P. 30-35.